Thousands of articles have been written about how new technology has changed the way we watch television. Writers much more informed and intelligent than me have weighed in on how the industry has been affected by audiences having the ability to view content on computers and phones and tablets. I don’t have much to add there. What I can contribute to the conversation, however, is how streaming services have impacted my own viewing habits, primarily from a content selection perspective. A couple of weeks ago I read with interest that NBC/Universal and Amazon had struck up a deal to feature the first season of USA’s Suits and the first two seasons of Covert Affairs, among other shows, on Amazon Prime, a service to which I subscribe. I found myself filled with excitement that I would now have access to these shows. But why? Neither program is an award-winning, must-see show, and I’m certainly not lacking for things to watch — my partner and I have two DVR’s in our home, and both are constantly hovering near the 100% mark. In addition, we subscribe to Netflix, Hulu Plus and HBO Go, so we are never lacking for viewing options. (Though what we do lack is time!) So why was I so excited to hear about the access I would now have to these two shows? When Covert Affairs came on the air in 2010 I was intrigued by the Alias-lite premise, and watched the first several episodes. After falling several episodes behind, though, it became a casualty of a space saving late-night DVR purge, and though I had enjoyed watching it, I didn’t think of it, except when the new season would premiere each year when I’d have a small pang of, “Awww, I kind of wish I had stuck with that.” Because it wasn’t available on the other streaming services I subscribed to and I didn’t care enough to pay to download it, that feeling quickly passed, and I just assumed my relationship with the show wasn’t meant to be. 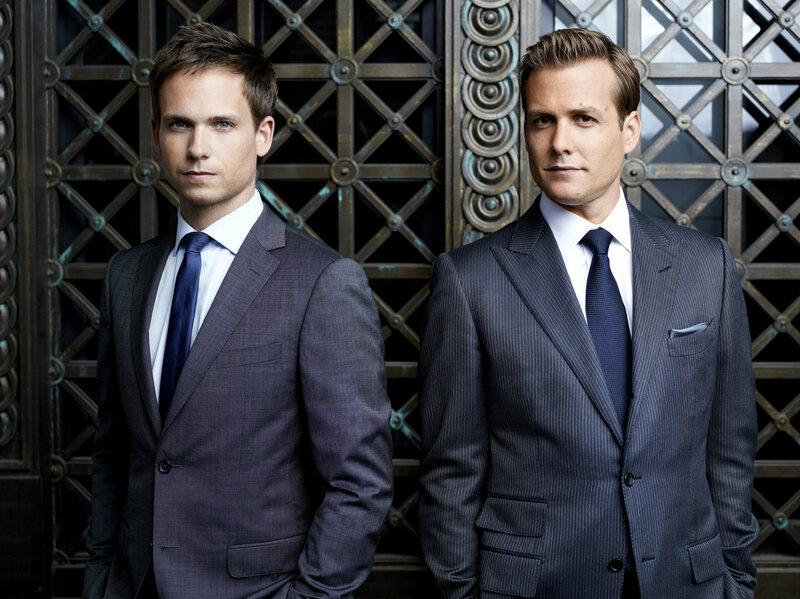 Suits, meanwhile, is a show that I really took to. (How charming and adorable are Patrick Adams and Gabriel Macht?) Because of a DVR malfunction that is too painful to recount here (seriously — there’s PTSD involved), I lost the first season of the show and never caught back up. However, I wasn’t willing to give up that easily, and starting buying episodes piecemeal on either itunes or Amazon. It hurt a little bit each time I shelled out that $1.99 for an episode, considering I was already paying a (collectively) not insignificant amount for my other content delivery platforms, but it felt worth it for a show that I enjoyed. I recount my history with both shows to illustrate why knowing they will now be available to me through a service I am already paying for is a game-changer. A show I had come to believe I would had never watch (Covert Affairs) is now a show likely to enter back into my viewing cycle. And a show that would have ultimately cost me more than $40 to catch up on will now be available to me at no greater cost than I am already paying. $40 is not a wallet buster, sure, but it was enough to prevent my buying the full season and just diving in. Now I can watch both shows, on my own time. Game-changer. It’s not the first time a show appearing on a streaming service has impacted my content choices. I never would have watched White Collar when it aired or thought to pay money to download it, but I’ve enjoyed the exploits of Matt Bomer and company on Netflix. I’ve been happily introducing my partner to the joys of Keri Russell, Scott Speedman and Scott Foley on Felicity through Netflix, and we’re also reliving thirtysomething on Amazon and starting Battlestar Galactica on Netflix. These streaming services allow viewers like me to take chances, to discover old favorites, and pay attention to shows that might have otherwise gotten lost in the shuffle. And though we watch most of this content on a traditional television (and occasionally a laptop or ipad), it’s had a revolutionary impact on our viewing habits nonetheless. How have streaming services changed your viewing choices? Are there shows you never would have watched if not for Netflix, Hulu or Amazon? Let me know. This entry was posted in Television and tagged Amazon, Covert Affair, Hulu, Netflix, Suits. Bookmark the permalink.